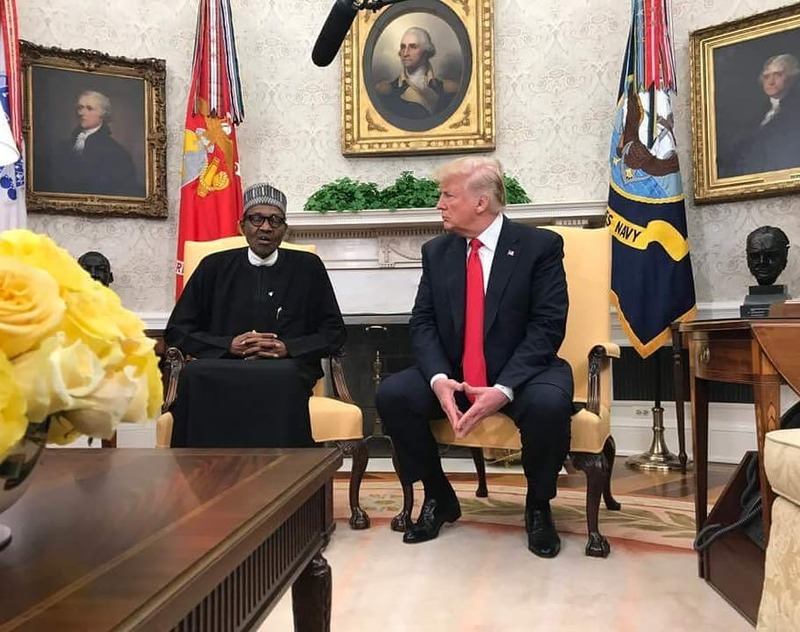 President Muhammadu Buhari is, at the time of this report, currently meeting with U.S president Donald Trump. Buhari was invited by Trump and the two leaders will be having bilateral talks as well as a working lunch. President Trump looks forward to discussing ways to enhance our strategic partnership and advance our shared priorities: promoting economic growth and reforms, fighting terrorism and other threats to peace and security, and building on Nigeria’s role as a democratic leader in the region. 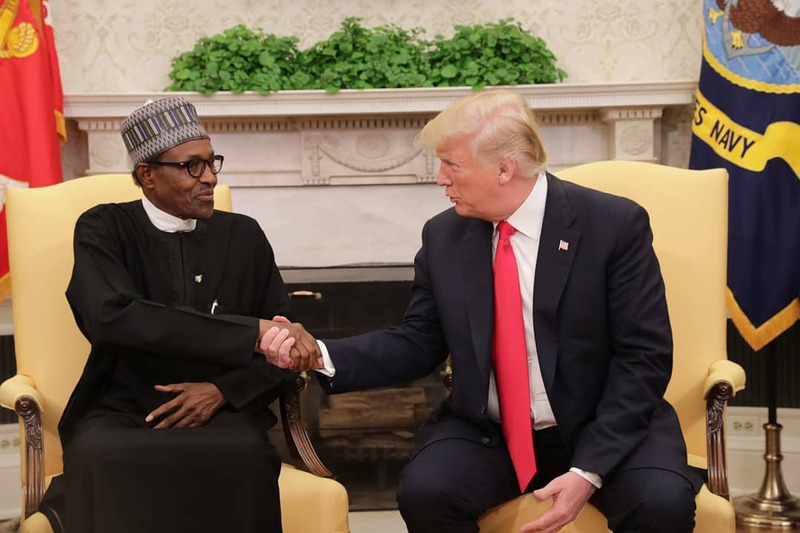 The relationship of the United States with Nigeria is deep and strong, and Nigeria’s economic growth, security, and leadership in Africa will advance our mutual prosperity,” the White House said. The meeting is to discuss ways to enhance the strategic partnership between the two countries and to advance shared priorities, such as promoting economic growth, fighting terrorism and other threats to peace and security. 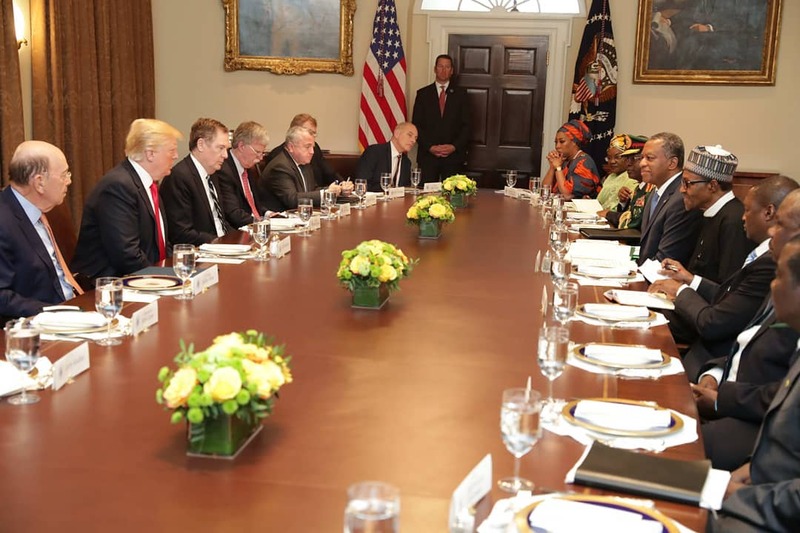 The meeting will further deepen the U.S.-Nigeria relationship as the United States considers Nigeria’s economic growth, security and leadership in Africa to be critical aspects of their strategic partnership. Later in the day, President Buhari will meet with a group of business persons in agriculture and agro-processing, dairy and animal husbandry.